Ultraflex Systems has a wide assortment of wide-format digitally printable canvas material that is compatible with eco-solvent, solvent, UV, Latex, dye transfer, direct dye, and screen printing processes and produces outstanding art reprographics, indoor and outdoor banners, displays, wall coverings, and more. We’re the leader in the digital print industry and proudly recognized for the high quality, innovative PVC and specialty substrate billboard and banner material, magnetic receptive media, specialty material, and textiles that we have introduced to the market over the past 25+ years. 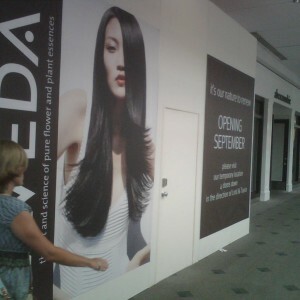 Leading Edge Media Certified for HP Latex Ink. In addition, we have several other products ideal for indoor and outdoor marketing. Ultraflex Systems’ Artex Canvas is a REACH Compliant, printable canvas banner material that’s exceptionally strong and flexible. It’s often used for display system applications. Artex Canvas is printable on the reverse side for a duller finish and available in 54”, 63”, 126” and 196” rolls. MultiTex S285 is our 100% polyester, spun yarn, multi-purpose canvas that is suitable for fine art and other applications requiring framed graphics. UltraCanvas Artist S325 is our indoor and outdoor canvas material that features a polyurethane bath coating and offers a dual print surface. UltraCanvas Backlit D280 is made from 20% recycled polyester and available in 98”, 122” and 198” rolls. It’s our innovative back-lit canvas material that produces shrinkage of less than 1% when printed and applied. The product lines at Ultraflex Systems feature many other types of banner material including PVC, mesh, knitted and woven polyesters, PET film, and more. Banner and canvas material samples are available globally for testing purposes and always available by request from our Sample Department. Contact one of our digital media specialists today to learn more about our digital media selection or request quotes.